The original color changing LED Neon. 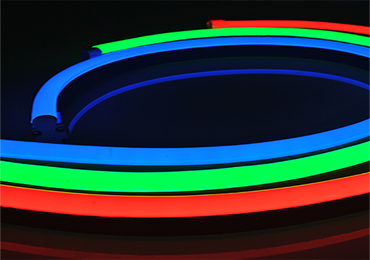 Vivid RGB delivers remarkably fluid color transitions using advanced DMX and LED dimming technology. With our Triple-Extrusion technology, RGB brings you discernibly richer, truer color. Visibly smooth and flicker free, Vivid RGB transitions like no other – even in high frame-rate environments. RGB offers seamless fittings built to preserve light uniformity that and is engineered for on-site configuration and assembly. It is THE solution for dynamic architectural accents and signage. How to properly install this fixture and ensure you do not void your warranty.